Please give us a call for a shipping quote. Circle G Tractors is your source for Jinma Wood Chippers. 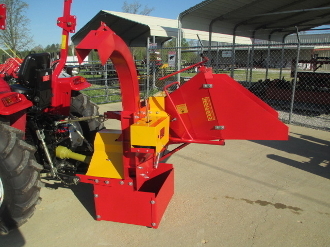 We currently have the Jinma 8" wood chipper in stock, as well as a great selection of wood chipper parts. Give us a call at 855-330-5272 for more information. At Circle G Tractors, you’ll find a wide selection of Jinma PTO wood chippers, automatic feed wood chipper shredders, and wood chipper parts. If you’re looking for Jinma wood chippers, you can count on us. As one of America’s leading Jinma tractor dealers, Circle G carries a strong inventory of PTO wood chippersthat are priced far below comparable wood chippers on the market. Circle G provides nationwide delivery to your door at a great rate. We can also ship to Canada. Call us for a freight quote at 855-330-5272.